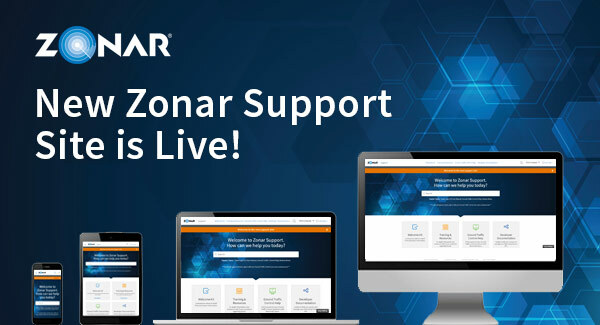 Zonar has upgraded GTC to a new, more secure login process. This new process will require that you login with the email tied to your Ground Traffic Control account. You can read more about the changes here. Please contact your GTC administrator if you require any assistance. The new support site makes it easier to find answers—and gives you a better customer experience. Better Searchability - Find what you need faster with fewer PDFs and more article-based searchable content and search suggestions that suggests answers to questions as you type. Focused Support - Filter through resources to find what you need in less time, with new sections and categories, including an entire section on how to get help on Ground Traffic Control (GTC). Easily extend the reach of your safety program. Coach provides real-time audible violation warnings so drivers can take corrective action when it’s most critical to mitigating accidents. The solution monitors the road and provides voice feedback when drivers exceed posted speed limits, tailgate, lane drift, don't stop at stop signs, brake too hard, corner too fast, or rapidly accelerate. Incorporating the latest driver coaching technology is an investment most companies can ill afford to pass up. Read about how available technologies can help saves lives and money. How Today's Technology Can Help Keep Students Safe on the School Bus. Read more about how two available technologies can help. Having a clear view into your assets and can help you increase efficiency, maintain compliance, optimize uptime and save on costs. Zonar is backed by Continental AG, a global leader in developing intelligent technologies for transporting people and their goods.